Ventree Plantations (Ventree) provides critical services to farmers and landowners who are not typically educated and trained in forest management. Ventree’s contracts with partner farms and landowners to fund, design, plant, care for and market the trees for an aggregate forest cover on the client’s property. Ventree operates under the science and methodology of organic and permaculture design agriculture. * This type of agriculture requires a healthy, well-designed and productive forest cover that is integrated and symbiotic with the other crops and animal systems on a farm. This type of agriculture protects the land from the seasonally deleterious effects of sun, rain, wind and pestilence, while it builds and preserves soils critical to the health and wealth-generating production of the entire farming operation. The forest cover is also carefully harvested and contributes to the economics of sustainable farming operations. 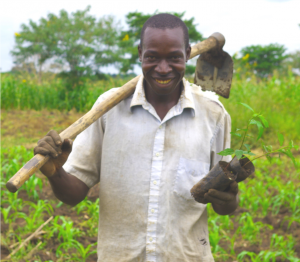 Ventree partner-clients develop and operate multi-crop farms and inter-crop a variety of cash-crops including root vegetables; ground cover species such as cassava; berries; peppers; corn and a variety of flower species. These operations also include a variety of farm animals including: cows, pigs, goats, chickens, ducks and bees. The production of farm fish and fingerlings are also part of the total integrated organic farming eco-system on properties near natural water sources. The farming operations support the farmers and landowners within a healthy and cooperative relationship. The sale of trees, management and support provided by Ventree Plantations integrates symbiotically with the farm’s operations. The additional benefit in participating in the revenues generated by forest crops is a compelling incentive for farm owners to enter into agreements with Ventree and the purchasers of the trees. Ventree coordinates the development of a variety of tree species including craft woods, timber, fruits and medicinal leaf, seed, root and flowering trees that represent an array of forest-generated products meeting the needs of local, regional and international cash crop, medicinal and nutritional foods markets.